“Mall Turf,” Histories of the National Mall, accessed April 22, 2019, http://mallhistory.org/items/show/496. Foot traffic from 25 million annual visitors is hard on the Mall’s natural resources. In 2017, the National Park Service completed a restoration project that re-engineered a total of 18 acres of turf between 3rd and 14th Streets to ensure preservation and access. The project included the installation of accessible granite curbs and compaction resistant soil. 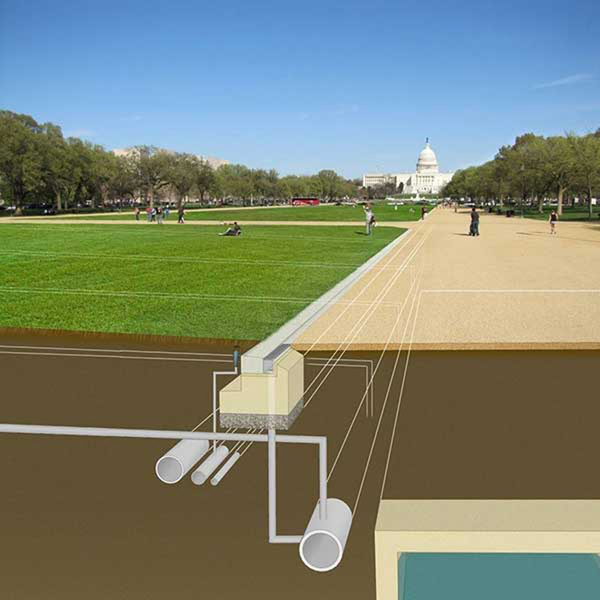 A new irrigation system was developed by installing drains and large underground cisterns to collect storm water which will be used to water the grass. A Turf Manager was hired to maintain the project, the first position of its kind in the National Park Service. National Park Service, National Mall and Memorial Parks. View Original.